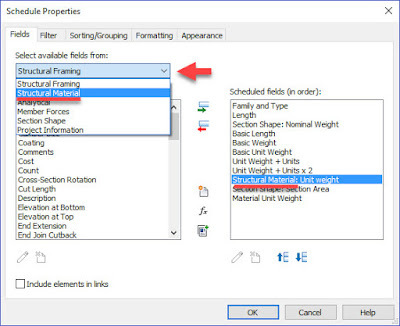 Revit schedules can do some complicated things, using built-in and custom parameters combined with formulas. Often. I seem to start setting things up in a way that is more complicated than it needs to be... when there are easier ways to achieve a desired results. One things that helps, in many ways, is to use the correct units, or type, when creating a parameter. As you will see in this example, you get the benefit of not having to "normalize" or remove the units of another parameter when using it in a formula and you can change the format and have the value automatically change. 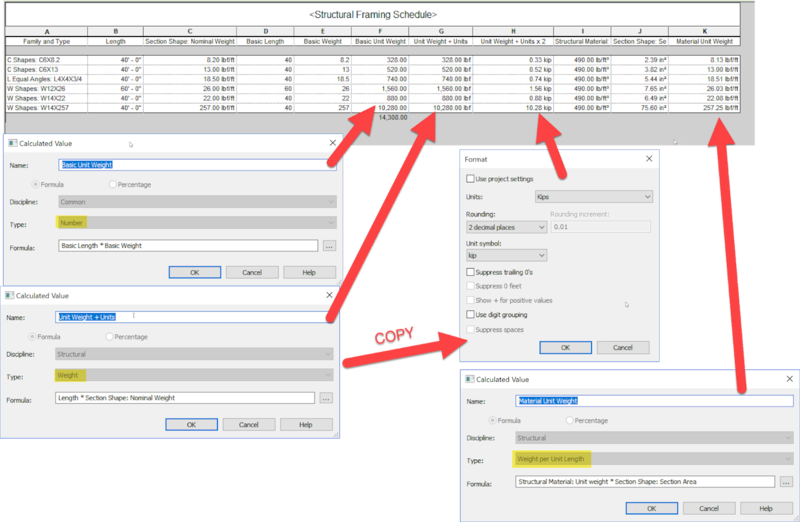 We recently reworked a lot of the parameters for the Electrical Productivity Pack, making sure all the parameters used the correct units whenever possible. This simplified a lot of things and created more opportunists between the mechanical and electrical disciplines. 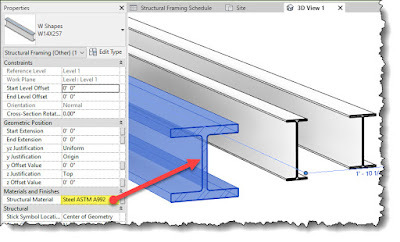 Let's take a look at a structural example. 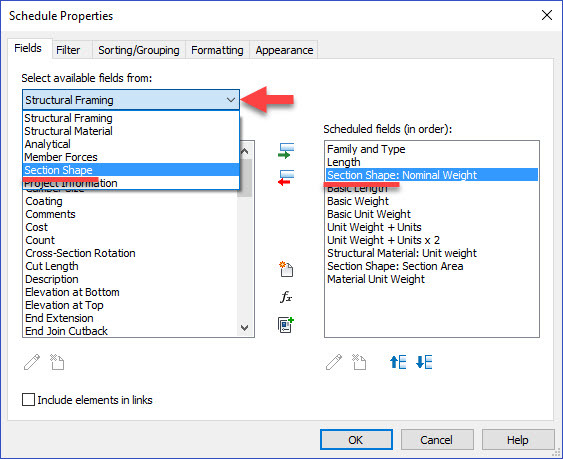 I don't often write about structural items, although we have a structural department and use Revit on all building projects and some industrial and pipeline projects. The built-in Length and Nominal Weight parameters need to be reduced to simple numbers. 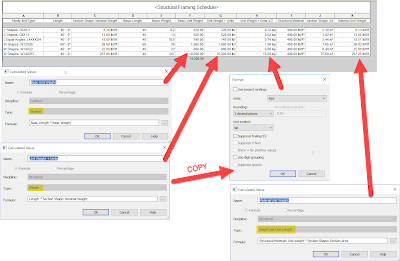 The three parameters shown below could have been created in the same calculated value, but I separated them here to make it clear how each of the built-in parameters need to be modified to remove their units. Click the image to enlarge it. 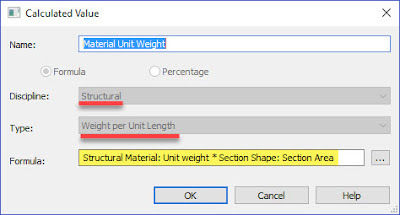 A better technique is a create a parameter with the correct units as shown here. 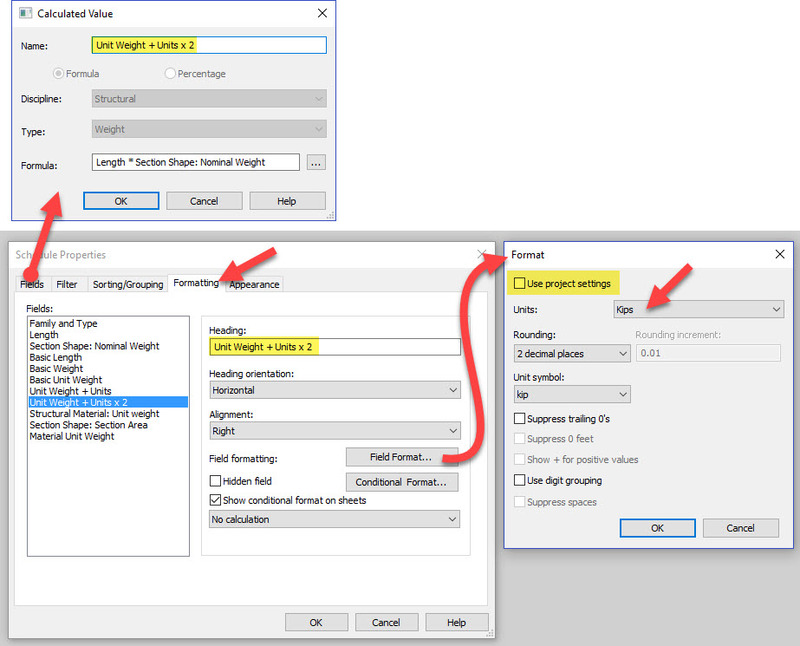 In this case we CAN just multiple the two built-in parameters together. 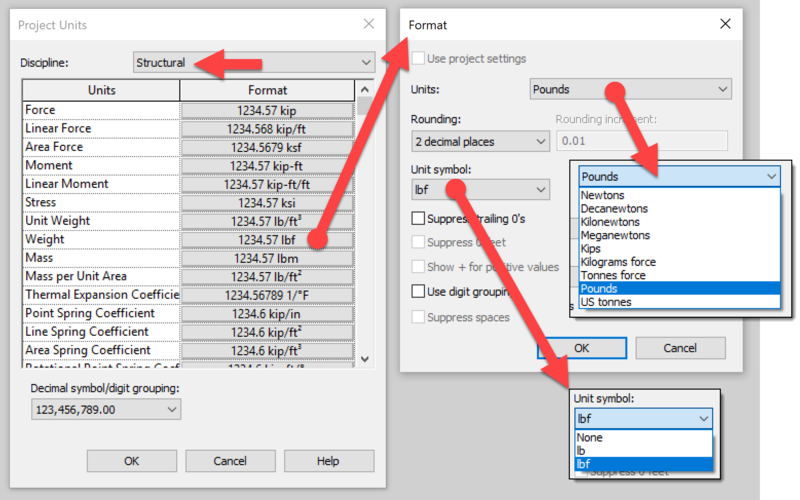 An added benefit of using the correct units is we can easily change the units where needed; project wide, tags, schedules... without doing any math; Revit just knows how to do this. FYI: I created a separate parameter just to be able to show the two side-by-side. 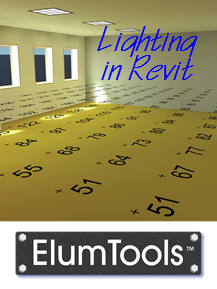 Revit's materials are not just for rendering. 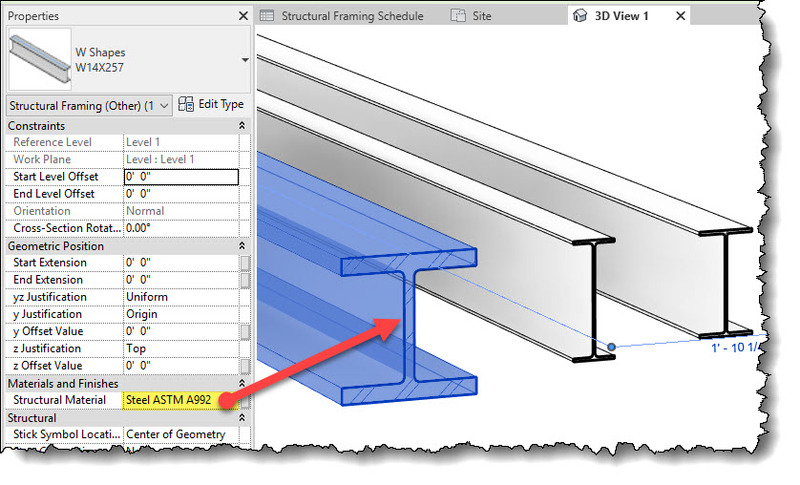 We can use them in energy modeling and, in this example, for structural engineering. Notice the beam has an instance parameter for the material. Let's see if we can get the same numbers using this method. When a material has a Physical asset applied, it has special structural properties such as density, or weight. 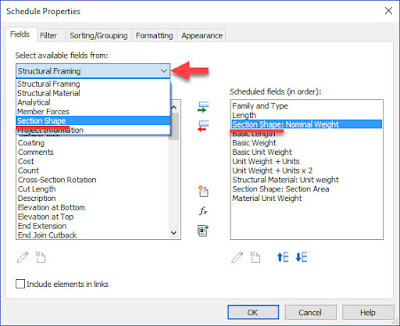 Again, in schedule properties, we have to change the drop-down to see the Structural Material options. 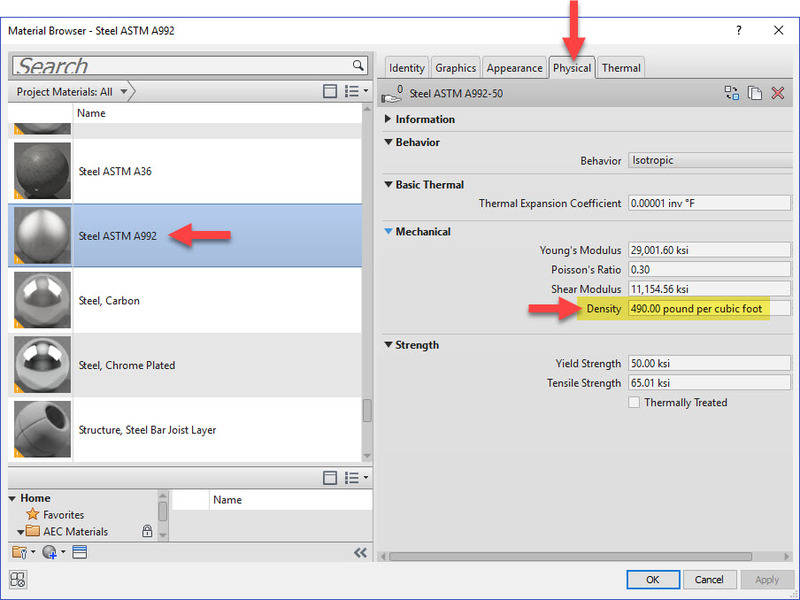 Here we have Unit Weight and Density which are both set to the same value 490.00 lb/ft² (for A992 steel). If we create the parameter for the total using the correct units/parameter type then we have just multiple the two built-in parameters without dividing by something to convert the value to a plain number! 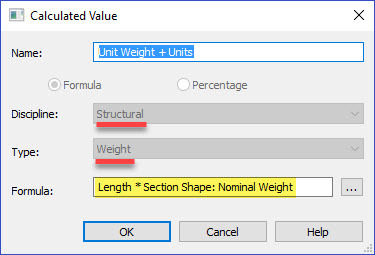 Here I set the parameter to Structural: Weight per Unit Length. The result shows the weight per foot is accurate. For example, the W12x26 has a nominal weight of 26 pounds per foot and an actual weight of 26.03. Someone may reply and point out some way in which Revit already lists the unit weight of a structural member - which would be nice - but in any case this post deals with a topic that should be useful in many ways within Revit. 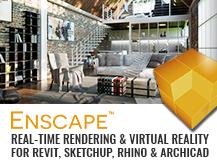 Enscape Blog Posts; Water and Videos!